Agatha Christie was the best-selling mystery writer of all time. She wrote ninety-three books and seventeen plays, including the longest-running play of modern-day theater, The Mousetrap. She is the only mystery writer to have created two important detectives as characters, Hercule Poirot and Miss Marple. shares much in common with Holmes's friend Dr. John Watson. Hastings, like Watson, is a retired military man who is too trusting and often foolish, but he occasionally stumbles upon some observation that inspires the far-more-intelligent Poirot. While writing in imitation of Conan Doyle, Christie experimented with many other versions of the sleuth, a term for a detective or solver of mysteries. Some of Christie's early sleuths included the married couple Tuppence and Tommy Beresford, whose specialty was hunting down spies. The Beresfords first appeared in her book The Secret Adversary (1922), where their breezy and almost offhand approach to detection provided a sharp contrast to the methods of Poirot. Another Christie detective, Colonel Race—a mysterious man of few words—first appeared in The Man in the Brown Suit (1924). However, since his principal area of activity was in the English colonies (territories then under British government control), Christie only used him occasionally afterwards. Superintendent Battle, who was strong, dependable, and hardworking, came onto the scene in The Secret of Chimneys (1925) and later solved The Seven Dials Mystery (1929). He was not a greatly attractive character, however, so Christie only used him as a minor character after that. Other sleuths who first appeared during this experimental period were the weird pair of Harley Quin and Mr. Satterthwaite, as well as the clever Parker Pyne. Pyne specialized not in solving murders, but in influencing the lives of others so as to bring them happiness or adventure. 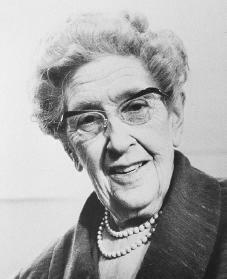 Pyne was often fortunate enough to have the assistance of Mrs. Ariadne Oliver, a mystery novelist who bore an uncanny resemblance to her creator, Agatha Christie. The year 1926 was an important one for Christie. It saw the publication of her first hugely successful novel, The Murder of Roger Ackroyd, in which the narrator (the character in whose voice the story is told) is the murderer. It was also a year of personal tragedy. Christie's mother died in 1926, and Christie discovered that her husband was in love with another woman. She suffered a mental breakdown and on December 6 she disappeared from her home, and her car was found abandoned in a quarry. Ten days later, acting on a tip, police found her in a hotel in Harrogate, England, where she had been staying the entire time, registered under the name of the woman with whom her husband was having his affair. Christie claimed to have had amnesia (severe memory loss), and the case was not pursued further. She divorced her first husband two years later. In 1930 Christie married Sir Max Mallowan, a leading British archaeologist. She often accompanied him on his expeditions in Iraq and Syria and placed some of her novels in those countries. In Come, Tell Me How You Live (1946) she wrote a humorous account of some of her travels with her husband. In the mid-1930s Christie began to produce novels that bore her special manner. In them she arranged a situation that seemed highly unrealistic or unlikely, and then she placed characters, who acted for the most realistic of reasons, into this framework. In Murder in the Calais Coach (1934) the murder is committed through the planning of a dozen people. In And Then There Were None (1939) nine murderers are invited to an island by an ex-judge who kills them out of an unshakeable sense of justice. In Easy to Kill (1939) four murders are committed in a tiny town without any suspicions being aroused, while in A Murder Is Announced (1950) the killer notifies others that the crime will occur in advance. Also interesting in these books is Christie's philosophy that it is quite acceptable to kill a killer, particularly one whose crime is especially horrible. Bunson, Matthew. The Complete Christie: An Agatha Christie Encyclopedia. New York: Pocket Books, 2000. Dommermuth-Costa, Carol. Agatha Christie: Writer of Mystery. Minneapolis: Lerner, 1997. Gill, Gillian. Agatha Christie: The Woman and Her Mysteries. New York: Free Press, 1990. Morgan, Janet. Agatha Christie: A Biography. New York: Knopf, 1985. Osborne, Charles. The Life and Crimes of Agatha Christie. London: Collins, 1982, revised edition, 1990.